The Walkers are connected through two sides of the family. The first Walker connection is via Peggy Morrison Quilietti. The second connection is through Jeannie Boyle’s family and it is this line that I will concentrate on on this page. So we will start there. 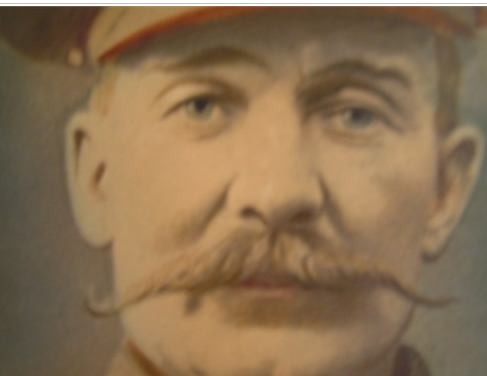 My great grandad was James Boyle. He married Annie Smith or Kay in Whitburn, West Lothian, Scotland in the year 1900. 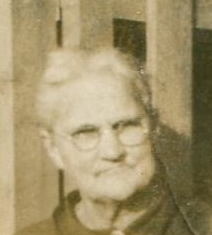 Annie was already a widow with two children. Then along came Granny Quilietti or Jane Boyle and her sister Jemima Boyle. The Boyle family had originated of course from Ireland and settled on the West Coast of Scotland where the foundries and mines gave many men work. 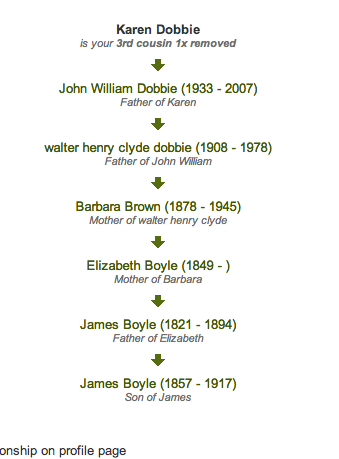 Our branch of the Boyle family as far back as I have traced yet is as follows with a lot of help from Robbie Wilson. There is as yet unconfirmed records that Luke died in the village of Glenamaddy, which lies on the northeast corner of Galway in Ireland.Glenamaddy, Galway, Ireland. 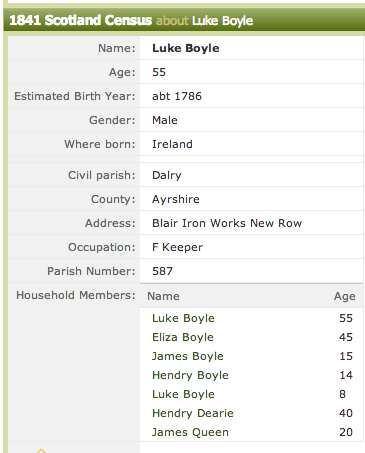 It was here in the year 1872 that we find the death of Luke Boyle with the same birthyear as our own ancestor. Their children came along. 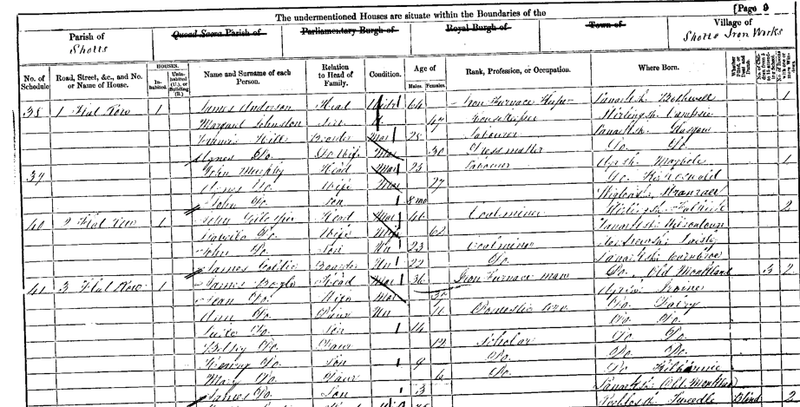 Jamesborn 1821, Hendry born 1827, Luke born 1833 and there was also Jane 1822. The ages are vague and each census tells a different year of birth of these children. Our direct line JAMES BOYLE, was born in Old Monklands in Lanarkshire in Scotland in the year 1821. 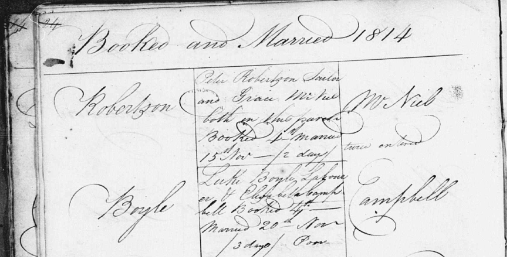 James married Jane Walker in the year 1843 in Dalry, Ayrshire. Jane was born in Irvine in Scotland. Jane links us to her branch of the Walker line. 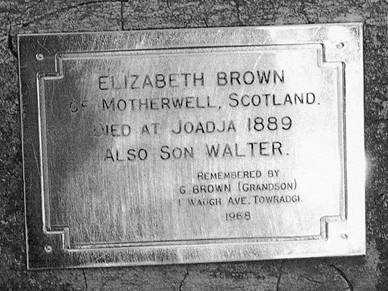 Jane died in an accident in Storringshaw Pit on 18 February 1874. Their children came along as follows. There has been extensive research by some of the Boyle descendants and in particular Robbie Wilson. Jane Boyle (1841-1920) Jane married twice. Her first husband was Charles Boyle Kerr and there seems to be no issue. Her second husband was James Muir 1840-1901. 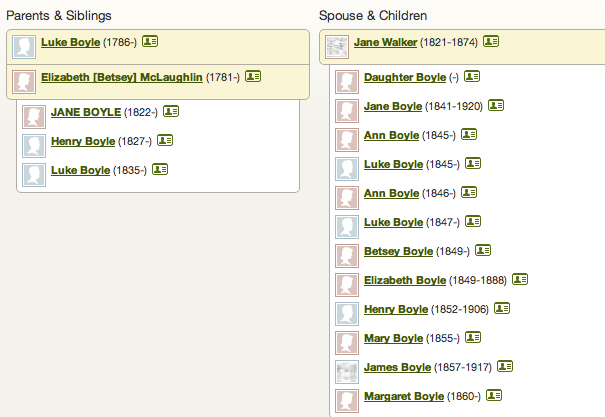 They had several children and their children remained close to their grandad James Boyle. One of their children were with him when he died suddenly in Glasgow in 1901. Luke Boyle (1847-) Luke married Agnes Smith and they had several children. Elizabeth Boyle (1849-) . 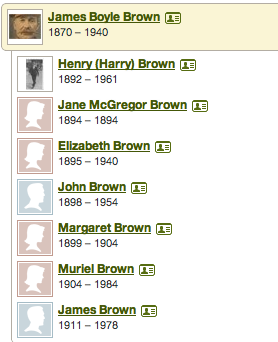 She married Henry Brown 1847-1929. This branch of our family left Scotland for Australia. 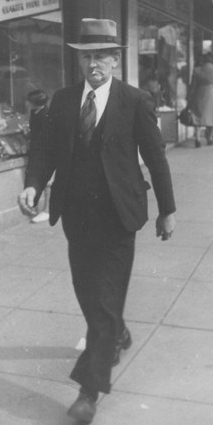 This is a photograph of James Boyle Brown who is my first cousin x twice removed. This is a photograph of their son Henry Here also is a photograph of Florence and Harry’s son. His name was James Nathaneil Brown. James is my third cousin. 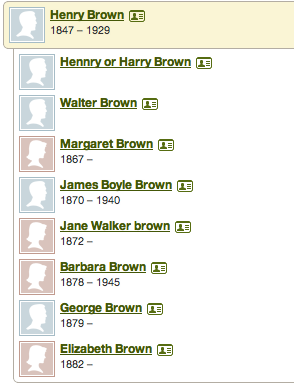 In the same Brown family we find another daughter of Elizabeth Boyle and Henry Brown. Her name was Barbara Brown. Barbara’s first marriage was to Thomas Evans. 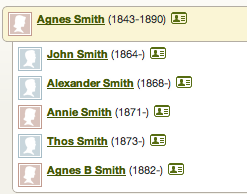 They married in Australia in the year 1893 and had one son whom they called Thomas. However things did not work out too well and a few years later she found her partner William Dobbie. They in turn had three children, Doris, Walter and Daisy. 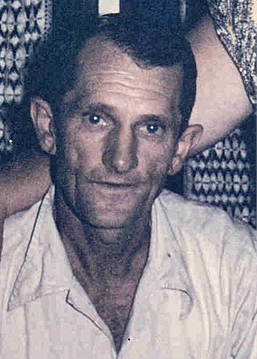 Jessie lived a long life and died in the year 2000.Walter Henry Charles Dobbie was born in Portland, New South Wales on 11th January 1908. 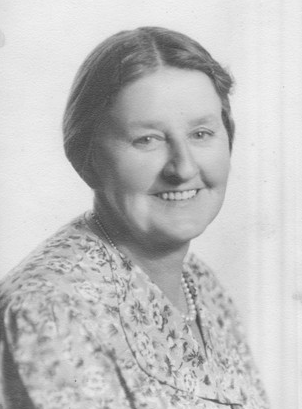 Walter married Mary Molly Frances May TALBOT in New South Wales in 1932. Now if I have this right it was this couple who was Karen Dobbie’s grandparents. We met Karen in the year 2011 when she was in Edinburgh doing some research Here is a photograph of her with Denis Madigan Stanton, my hubby. Henry Boyle (1852-1906) Henry also worked as a miner in Shotts, Lanarkshire. James Boyle (1857-1917) James is of course our direct line. 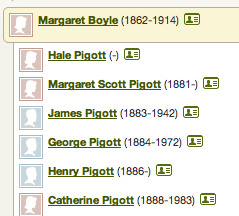 Margaret Boyle was born on 14th March 1862 in Shotts in Lanarkshire. 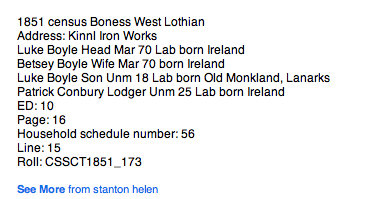 She married George Piggot, another Irish emigrant in 1883 in Fauldhouse in West Lothian. George had travelled from Ireland as the census information tells us. 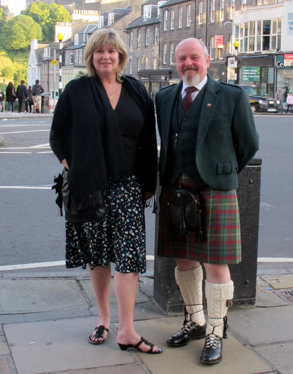 Sadly haven;t made it to Scotland this year (gutted) – too much going on on the home front. Hope you and Denis are great! Henry and Elizabeth were my paternal great grand parents.